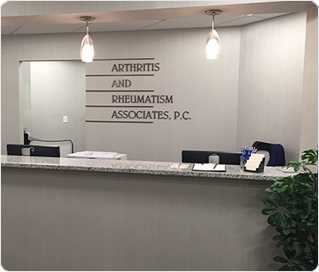 Welcome to Arthritis and Rheumatism Associates, P.C. We ask that you please download the necessary registration forms to be completed for your physician office visit. Please select the office you will be visiting for your scheduled appointment. Forms may be sent either by fax, mail or in person during a scheduled appointment.